Jim Lasko is passionate about creating moments of surprising connection. Artistic Director of Chicago’s Redmoon for 20 years – a title he currently shares with Frank Maugeri – he’s applied his training as a theater maker to create public events designed to facilitate cultural participation: spectacles, parades, site-specific performances, interactive exhibits and traditional theater. Named Chicago’s first ever Artist in Residence, Jim’s outdoor Redmoon spectacles remain some of the finest examples of his commitment to activating public space. Astronaut’s Birthday converted the façade of the MCA into a giant shadow screen. Long Live the King, enacted in and around a mobile 30 foot steel tower, toured Chicago’s neighborhoods. Last of My Species played on Chicago’s lakefront as a concert with a fictional Norwegian pop-star. His theater projects include Hunchback, which toured the Midwest and East Coast before a successful run off Broadway. His adaptation of Frankenstein at the Steppenwolf Theater won numerous awards and national attention. Once Upon a Time, a collaboration with Frank Maugeri, performed at the Disney Concert Hall and was the hit of the International Puppetry Festival in France in 2009. Jim is a member of the international collaborative Dream Masons, whose most notable commission was their massive spectacle to celebrate the Salamanca Arts Center in Hobart, Tasmania. 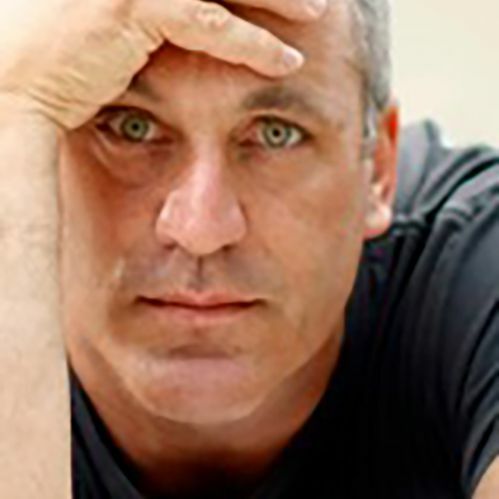 He worked with French architect Odile Compagnon to design Spertus Institute’s Grey Family Center, an interactive children’s museum, and has worked with artists such as Alexander Polyanichko and Gerard McBurney at the Chicago Symphony Orchestra and internationally regarded contemporary artist Iñigo Manglano-Ovalle. Most recently, Jim was named a 2013 recipient of the Loeb Fellowship, awarded to nine international architects, urban designers, landscape architects and, occasionally, artists, who spend a one-year residency at the Harvard Graduate School of Design.